After some looking around I found this thread and I did indeed see that it was blocking VirtualBox from installing. After clicking allow and then trying to run the VirtualBox installer again it just fails again with the same generic error message and the same Security warning reappears in the "Security and Privacy" settings. I tried to also run the pkg install from the terminal to see if I could get more information about why its failing but it doesnt help. 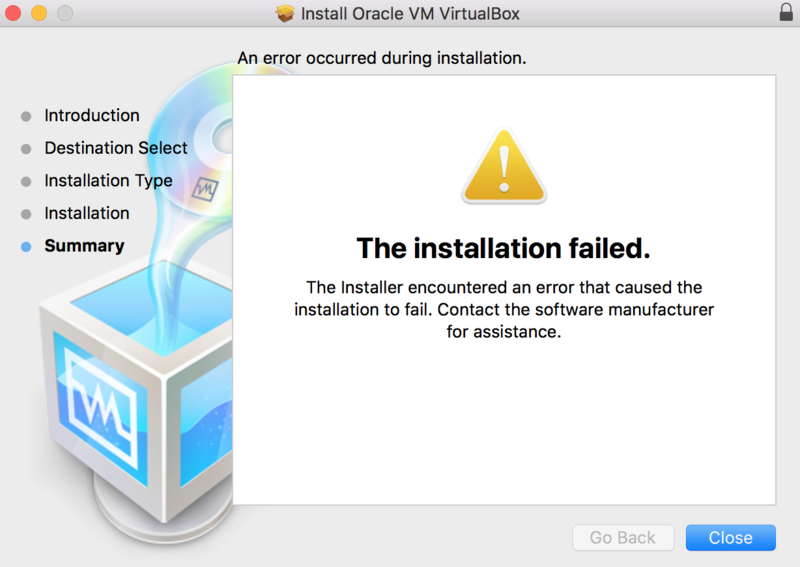 The VirtualBox application does appear to install and it can be launched however nothing functions. Does anyone have any ideas how to solve this? Then try to install from the .dmg again so that it remounts the device. Now its working fine for me. IF YOU ARE CONNECTING VIA REMOTE DESKTOP OR SCREEN SHARING or have any other mouse emulation running: It is not possible to actually click the Allow button in this mode!! Now the button is actually clicked, and you can allow "Oracle America, Inc." to install. You might be prompted for a reboot. Then run the installer again and everything should work as expected! If the GUI solution does not work, reboot in Recovery mode and enter spctl kext-consent add VB5E2TV963, then reboot in normal mode and install should be ok.
For some reason when I clicked "allow" it felt as if the button "did nothing" but then when I tried it a third time the button "took" (after which point it always worked). Weird. This is a community wiki feel free to add some more ideas here. I saw a quick note in one of the messages here or in another thread and it was the critical piece I was missing. When I had the Security & Privacy dialog open, the Apply button visible and clicking on the button and there was no apparent action. The prompt still remained. I needed to WAIT longer before trying the Apply. I found I waited 20 minutes until the button actually worked (the prompt went away). Not the answer you're looking for? 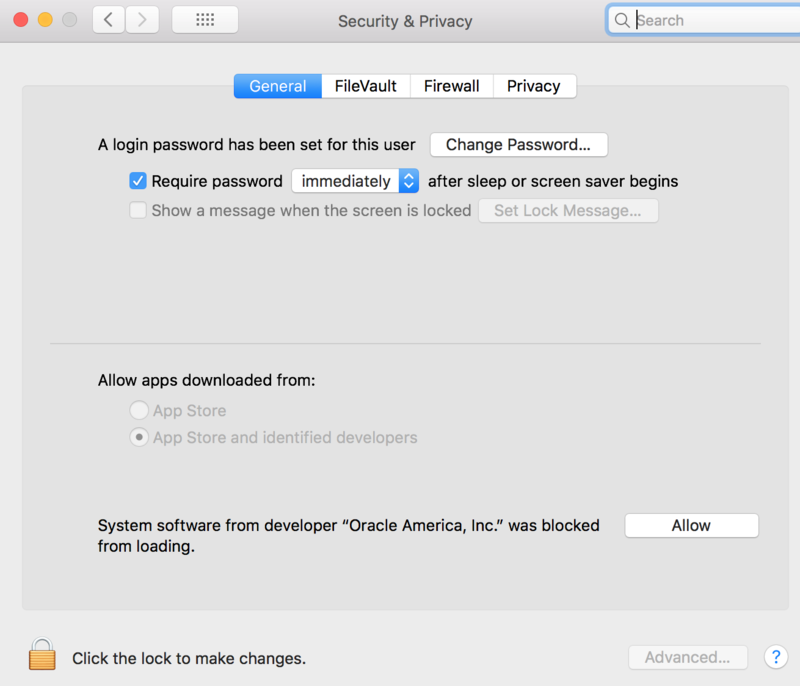 Browse other questions tagged macos security virtualbox high-sierra kernel-extensions .